Why organizing a company retreat is beneficial to your organization. How a company retreat can boost innovation. How to transform your retreat into a hiring opportunity. How to choose the best time to organize your retreat. The best way to structure your retreat. At Surf Office our goal is to organize productive, authentic and effortless company retreats. Over the years, we’ve gained a lot of insight through working with customers and learning what works and what doesn’t work when it comes to planning rich and unique off-site company experiences. 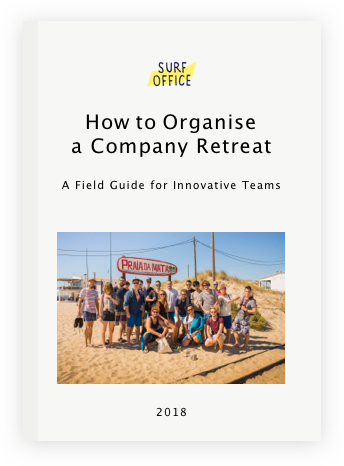 The goal of this comprehensive guide is to show you that anyone can and should organize a company retreat as well as assist in identifying and solving the obstacles and challenges you can find throughout the process.